Anyone who has manually prepared invoices or brochures knows how tedious a task it can be. 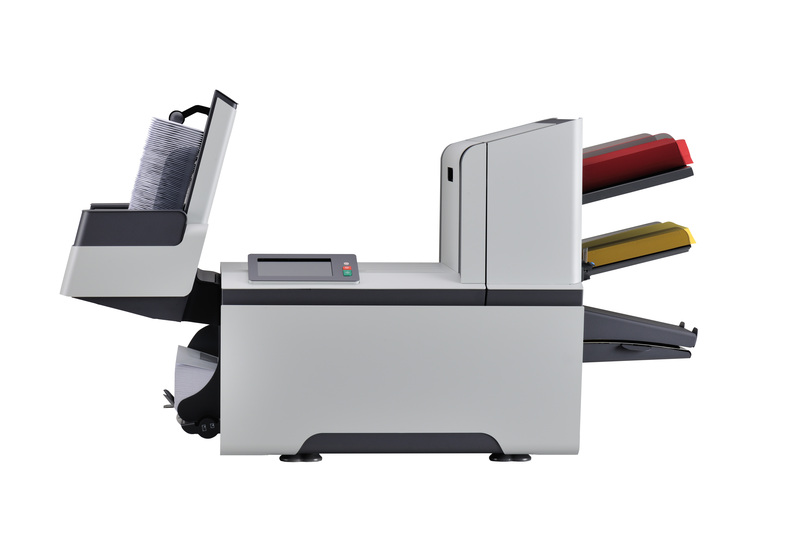 Folding/Inserting equipment can automate a very time-consuming part of the process by providing an efficient and cost-effective way to prepare materials for mailing. For an analysis of your folding/inserting needs, contact 360 Business Solutions today. 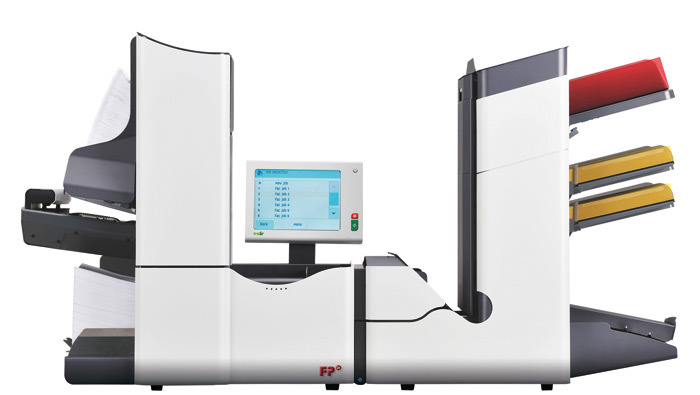 The FPi-600 is out most commonly used Folder/Inserter machine because of its extensive capabilities, small size, ease of use, and economical price. It is capable of folding and inserting two pieces of paper (standard letter and legal size), and an envelope insert (brochure, return envelope, etc.) at the rate of 1,350 per hour. 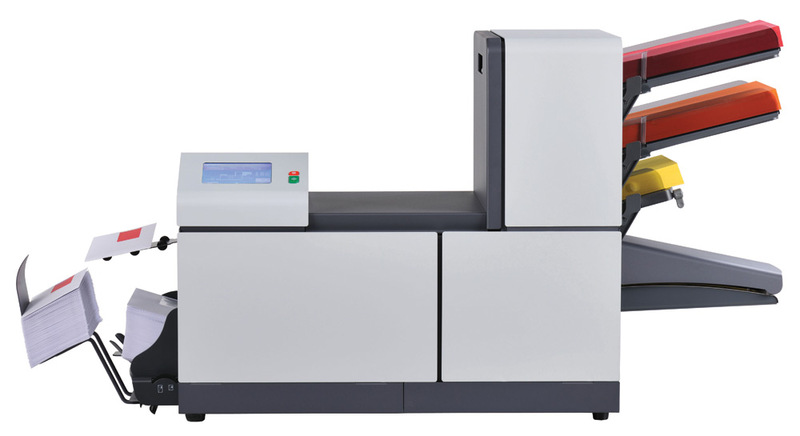 The easy-to-use FPi-2300 series is optimized for small-to-moderate mail volume, automated tedious letter paper folding and envelope stuffing. Its simple touch screen controls and speedy performance make the 2300 a clear winner for small businesses and offices that regularly mail bills, statements, reply envelopes, newsletters, and direct mail. It reliably processes a variety of paper and envelope sizes, including stapled sheets. The amazing, award-winning FPi-2500 does the thinking for you. The machine recognizes the paper format and automatically configures your inserting job. 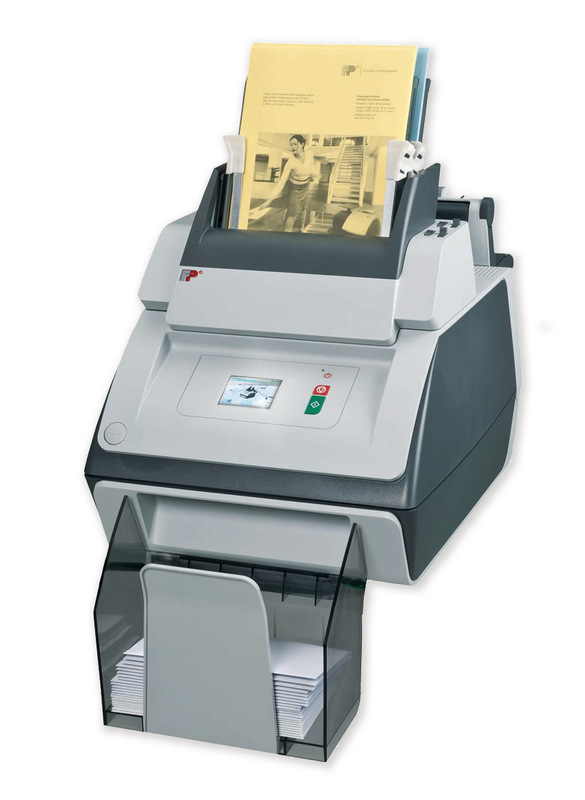 Fast and quiet, the FPi-2500 gives you professional results for correspondence, statements & invoices, advertising flyers—darn near anything you can put in a business envelope! Plus, the optional Optical Mark Recognition (OMR) automatically processes variable-page sets and ensures that confidential documents go to their intended recipients. The FPi-4700 series solves your company’s mail handling needs professionally, reliably, and quickly by handling up to 3,800 letters per hour or 40,000 letters per month. It can easily process supplements like reply cards, flyers, or return envelopes. Compact in size and quiet in operation, the FPi-4700 series fits into every office environment. The FPi-5600 turns your mail center into a strategic businesses asset, providing a platform for compiling high volume mass mailings. With an intuitive color touch screen, you don’t have to be a mailroom genius to set up and run powerful mail jobs. 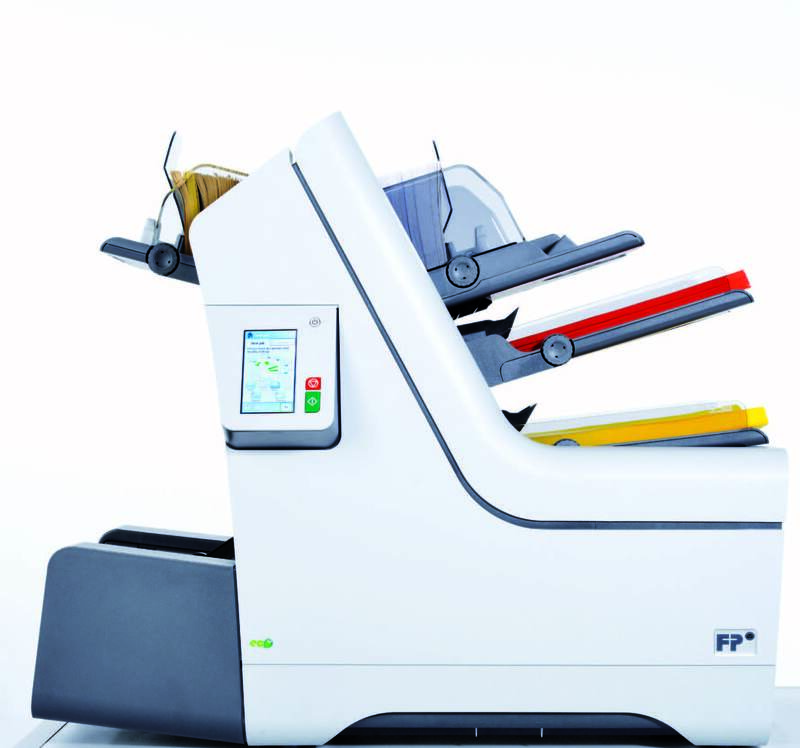 FP Mailing’s top-of-the-line folder-inserter, the FPi-6600 can assemble and finish mailings at a stunning 4,300 letters per hour. Its heavy monthly duty cycle ensures that businesses with high volume mailing requirements can process tens of thousands of pieces efficiently and reliably every week. This smooth operator sports a generous 10.4” color touch screen, making setup and operation clear and convenient.